Again, operatives of the Nigerian Custom Service, Tin-Can Island Command have impounded 1,100 pump action rifles. This bring to a total of about 2110 pump action rifles so far impounded in Lagos alone in the last seven months. 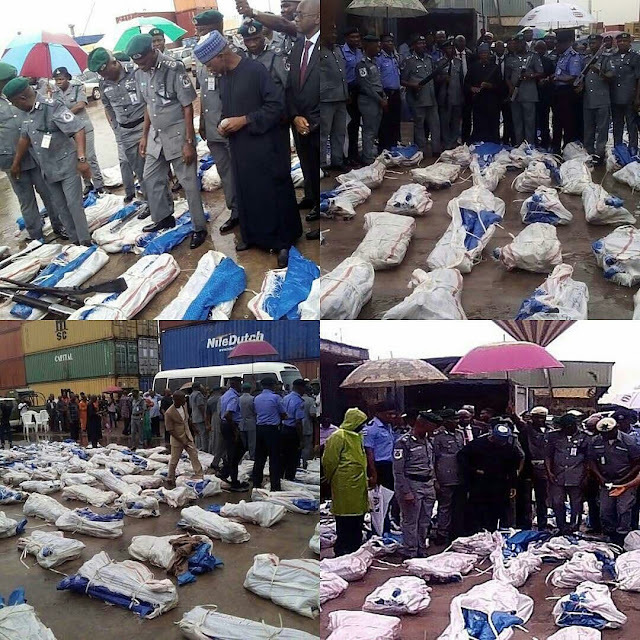 The Comptroller General of the Nigerian Custom Service, Col. Hameed Ali (Rtd) who confirmed the seizure said that the weapons were fearfully concealed in a 1×20 ft container.